Foreign Office spokesperson Dr Mohammad Faisal on Tuesday said that New Zealand Prime Minister Jacinda Ardern had "won the hearts of Pakistanis" with the compassion and leadership she demonstrated after a right-wing white supremacist murdered 50 people at two mosques in Christchurch during Friday prayers. "The clear [and] decisive manner in which NZ PM has dealt with Christchurch terrorist attack has won her many admirers in Pakistan," Dr Faisal said in a tweet. He also thanked her for recognising the bravery of Dr Naeem Rashid, a Pakistani victim of the massacre who was reported to have saved lives by trying to tackle the attacker. Ardern has been praised globally for reaching out to the local Muslim community following the horrific attack, which she has termed terrorism. Wearing a black scarf over her head, she was photographed hugging members of the Muslim community at a Christchurch refugee centre. She also vowed to change the country's gun laws, saying a ban on semi-automatic weapons would be considered. On Tuesday, the 38-year-old leader opened her remarks in parliament with a symbolic gesture, repeating the greeting uttered every day across the Islamic world: “As-salaam alaikum”. She has also announced an inquiry into the intelligence and security services' failures to detect the risk from the attacker or his plans. In a tweet, President Arif Alvi thanked Ardern "for the strong compassion she has shown in the face of [the] terrorist killing of 50 Muslims". 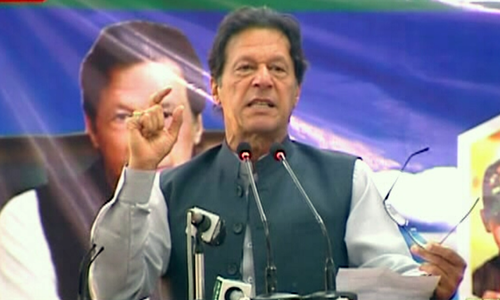 He also lauded the people of New Zealand for their "unanimous outpouring of love" towards the Muslim community and rejecting of Islamophobia. I am now a fan of Jacinda Ardern. Well done. prime minister should invite new Zealand prime minister to Pakistan. To Honorable PM of New Zealand Mrs JACINTA ARDEN Excellente Exemple of Politician.we love you and respect you, from Pakistan and Muslim world. New Zealand Prime Minister Jacinda Ardern has proven herself a great leader and earned a huge respect from all over the world. Jacinda’s warm embraces to the heart broken women was in stark contrast to UK’s Theresa May’s visit to Grenfell Tower where she did not even bother to talk to those who suffered from the devastated fire!!! Great Lady the prime Minister of New Zealand! Another strong contender for the noble peace prize...only wish that there more leaders like her and ik. Trumps and modi’s equals hate and division. Imran Khan and Jacinda Ardern equals peace and stability. Has any politician from Pakistan shown that quality? She is a sacred soul who has love for humanity. We love you with all our hearts Honorable Prime Minister Jacinda Ardern. Thank you for your visionary leadership full of compassion and kindness. Absolutely true. NZ PM has won my admiration for her handling of the terrorist attack in her country. Salute to the amazing leader and I sure do hope that other leaders learn from you, especially when no other leader dare to stand up for the innocent victims who cannot speak from themselves anymore. She deserve the Noble Peace Prize for her amazing leadership and empowering personality. 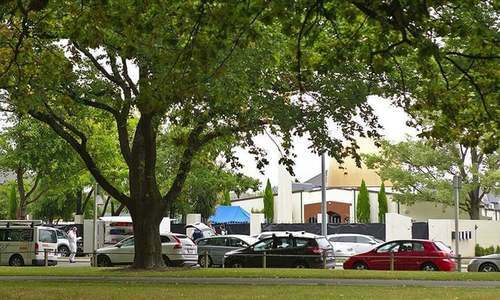 We are thankful to the NZ PM Jacindra Arden, the authorities and the general public for displaying their utmost compassion for the broader Muslim Community residing in NZ during this most difficult time of their lives. No doubt that they have won our hearts. After all love conquers all. P.M of NZ. She is a real lady. you can see the grief and sympathy written all over her face! Thank you. You are a good person . She really deserve Nobel Prize. She’s is the most companionate true leader of the free world! Jacinda has shown true leadership and incredible strength in the aftermath of the Christchurch terrorist attack by a white supremacist. The world would be a much better place if we could have more leaders like her. Newzealand is in the hands of a good leader. Promoting love and compassion is the only way to defeat extremism! Jacinda Ardern is a very mature and personable leader in an increasingly hostile world. Respect to all New Zealanders who have shown great compassion toward the victims of this terrible cold blooded terror unleashed on innocent victims. Indian should learn from New Zealanders. We are grateful to you for your strong support and statement and also mentioning this that this Australian is a terrorist. She is now the new face of modern leadership. Dignity, Grace and courage-She is Jacinda Ardern. Time for world to learn a thing or two from her. I request PM Imran Khan to please issue a public statement appreciating not only the PM of Newzealand but also the peopleof Newzealand for thier support of the Muslims community during the recent terrorists attack. Infact similar appreciation should come from OIC members. Pm IK should go to NZ and form of friendship of respect with NZ PM! Who has fair mind in the west regarding Muslims! Salute to PM Jacinda Ardren. An amazing leader of compassion and determination. The way she stood up against terrorism in very difficult circumstances is examplary for all the leaders in the world. 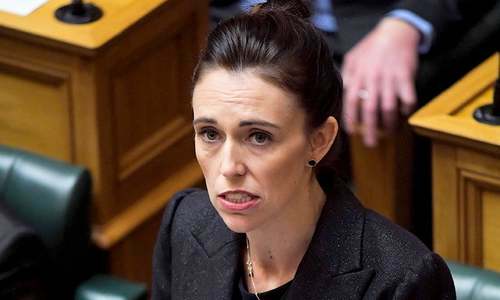 PM Imran Khan should invite PM Ardern to visit Pakistan. Both these leaders are well respected and capable to bridge the gap between East and West and can work towards common goal of achieving peace and harmony in the world. Dear Imran and Shah Mahmood invite the NZ prime minister to a hero's wellcome in Pakistan. She has been exceptional and set the standard for heads of states concerning treatment of minorities in countries all across the globe. My best wishes for her and the nation of Sir Edmond Hillary the conqueror of Mount Everest. I live in New Zealand and totally agree with the sentiments expressed in this article. The New Zealand PM has shown so much empathy with Muslims. Humanity is alive and kicking down under. Ms. Prime Minister, you give us goosebumps and bring tears to our eyes. Islam teaches what you are practicing. Best wishes to you and to New Zealand. A lesson for everyone of us to learn and practice. She has shown greatness that most other leaders lack or to afraid to rise. I wish her and every citizen of NZ greetings of peace, prosperity and happiness. May you always shine above the rest. Yes, it is beyond imagination & I will give all the credit to NZ’s leadership that has turned the sentiment. Hats off to Ardern for setting example & bringing the nation together. This is at a time when there is so much unrest all over the world. In recognition of her contribution for bringing GLOBAL HARMONY & making effort for PEACE, before is considered or gets the NOBEL PRIZE, I would request government of Pakistan tonconsider giving her National award. Ideally March 23rd is the best time to announce. A real democratic leader who values public's feelings & pain. Such leaders are very rare to find. It would be appropriate at this juncture for PM Imran Khan to invite his New Zealand counterpart for a State Visit. Absolutely, great woman. She is thousand times better than local Pakistani woman politicians. Thanks Madame PM! You have won hearts of not only Pakistanis but also the entire peace loving world. And also mentioning him terrorist who did massacre of Muslims. Leadership at its best.... wish we had more leaders like her and the world would be more peaceful and communities will banish hate against each other. The people of NZ have admirers all across the world. Absolutely right. 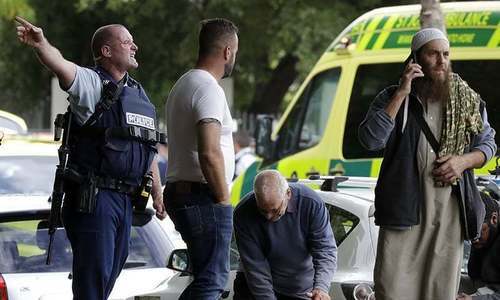 The way the New Zealand government has conducted itself after the attack has won the hearts of Muslims around the world. Hats off to the people or New Zealand and their leader. We need more unity and solidarity like this. Love and respect from Pakistan. Jacinda Ardern is a great leader and a great woman. My hats off to her. In my view, after the inhumane terrorist attack on mosques, NZ's PM has reacted positively, imparially and demonstrated her leadership qualities. I wish other world leaders follow her example and openly criticise terrorists and their masterminds, no matter who they are or what is their religion, creed or nationality. 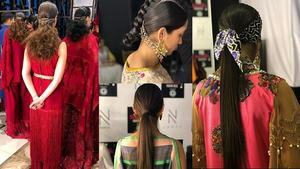 (Gharib Awam ki Awaz). She is a wonderful human being and a great leader, the way she has dealt with the whole situation is an example for all the leaders of the world and the way Newzealanders have empathise with the Muslim community in the hour of their grief is a great lesson for all the nations around the world. Thans you New Zealand ! I'll always support their cricket team now even against Pakistan. The Kiwi PM respected Jacinda Ardern has won our hearts. She is a role model for all head of the states including Pakistan. Dear PMIK, please invite Jacinda Ardern to visti Pakistan. We would love to greet this wonderful lady. She is truly the Queen of Hearts in Pakistan. A humane leader. Salute and Respect!! A rare combination of courage, compassion and kindness in a leader. She has shown how the state must react to tragedies like this. Hats off to her for such bravery and considerate character.